We are proud to announce our new cycling and road safety campaign to support children’s safety in the Bristol and London community. Increased visibility, especially in the winter months, is very important especially for children cycling on busy roads. Children crossing roads are also at risk when attempting to cross roads. 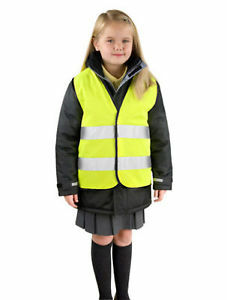 Motorists are more likely to see children with high visibility clothing. Cyclists are of course much easier to see when they are wearing a high visibility jackets and that’s why we’ve decided to give them away. We will be providing free children’s high children’s visibility vests per month to non-profit organisations who require the vests to increase safety when they’re out and about. The vests are provided completely free of charge and supplied on a first come first served basis. We are currently out of stock due to high demand but send a message below and we’ll let you know when more become available. To apply for your free jackets please use our form and simply state your organisation, address, website and quantity required (maximum 30). The offer is completely free of charge.